This Place of Worship was founded in 1901, but we understand it was closed in 1950, and the premises are now in secular use. Southgate House Chapel was built by Lady Petre, the second wife of Colonel Butler-Bowden, of Southgate House, originally as a private family chapel. The Bowden family had been owners of Southgate House from the 17th century. Meanwhile, according to The Catholic Herald of 30th December 1938 (p.13), a site had been given by Colonel Butler-Bowdon for construction of a new church, near Creswell Road, so a replacement was already "on the cards". This new church is (presumably) today's Catholic Church of the Sacred Heart and Our Lady of Victories, in Creswell Road. See also Clowne on Wikipedia. 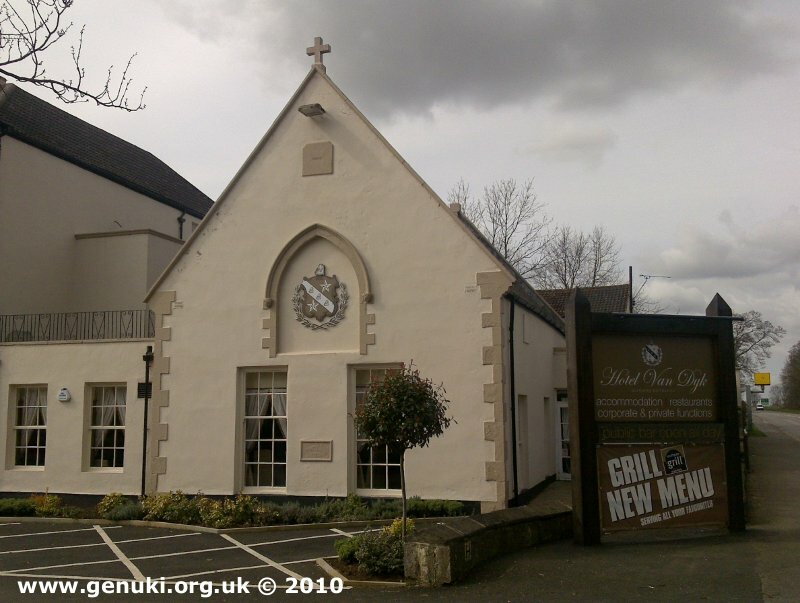 Southgate House Chapel (now Van Dyk Hotel), Clowne shown on a Google Map. Places of Worship in Clowne shown on a Google Map. I have found many websites of use whilst compiling the information for this database. Here are some which deserve mention as being of special interest for Clowne, and perhaps to Local History and Places of Worship as a whole. Information last updated on 5 Nov 2014 at 13:40. Please also remember that the former Southgate House Chapel (now Van Dyk Hotel) is understood to be in secular use, so care should be taken to preserve the privacy of its occupants. This Report was created 23 Mar 2019 - 21:19:30 GMT from information held in the Derbyshire section of the Places of Worship Database. This was last updated on 6 Feb 2019 at 15:49.